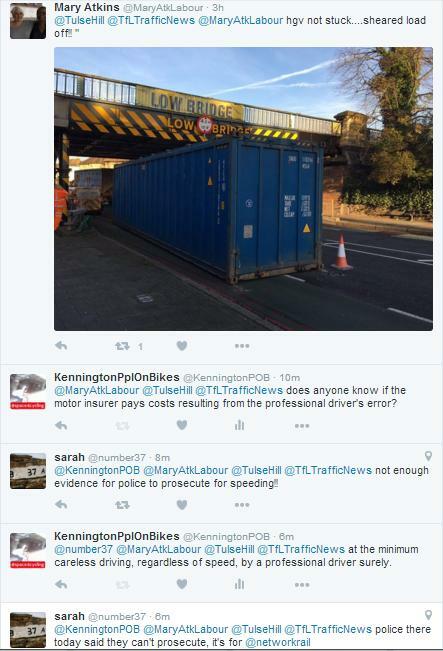 How can Lambeth deliver TfL's Air Quality four types of action? • Tackling local air pollution focus areas or ‘hot spots’. • Permitting greater densities of development in areas that have good public transport access. • Continuing to expand and enhance public transport capacity in London, for example through the Tube upgrade programme, and new infrastructure such as Crossrail. • More accessible bus network, to further encourage its use. • Improving the urban realm and streetscape to make walking more attractive for short-distance trips. • Transforming cycling, through the Mayor’s Vision for Cycling. • Travel demand management, encouraging smarter travel and supporting initiatives such as car clubs. • Traffic signal optimisation, using SCOOT (Split Cycle Offset Optimisation Technique), which now operates at about 5,000 of the 6,000 signal-controlled junctions in London. 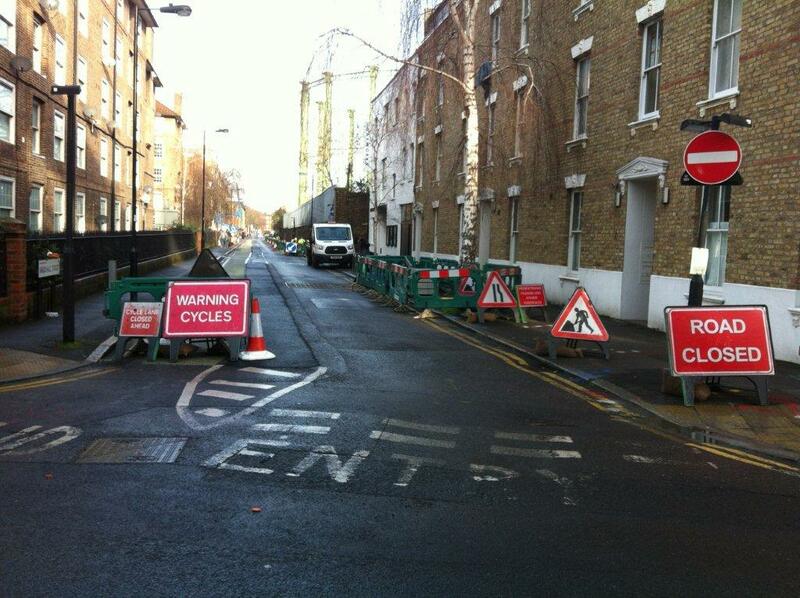 • Lane rental scheme for road works, minimising disruption on the network. • Freight Operator Recognition Scheme (FORS), a voluntary accreditation scheme that encourages sustainable freight operations. • Encouraging out-of-hours delivery, smarter driving and reduced engine idling. 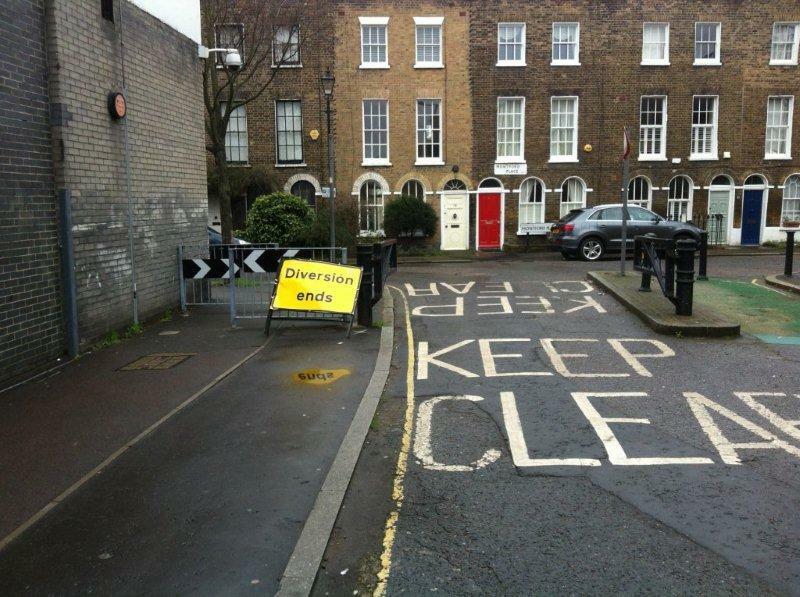 • London’s Low Emission Zone, first introduced in 2008 and progressively extended since. • Congestion Charging Ultra Low Emission Discount – a 100 per cent discount for the lowest emitting vehicles. • Cleaner TfL buses – ensuring that London’s bus fleet continues to reflect the latest and cleanest emissions technologies. • Zero emission vehicles and charge points, encouraged through the Mayor’s Electric Vehicle Delivery Plan. • Cleaner licensed taxis and PHVs, through the introduction of age limits that encourage lower-emission vehicles. • Reducing the energy used by the Tube, through initiatives such as regenerative braking, and diversifying the energy supply to encourage low carbon sources. • Facilitating improvements to other modes, such as the forthcoming electrification of the Gospel Oak to Barking line, and improvements to the emissions performance of the River Services fleet. • The Mayor’s Air Quality Fund provides match funding for boroughs to deliver innovative air quality improvement projects. This complemented the Clean Air Fund, which during 2013 implemented a range of measures at particulate matter (PM10) hot spots, funded by the Department for Transport. • Clear Zones – providing support and funding for Clear Zones where specific measures were implemented to give spot treatments (implemented in Camden, Westminster and Tower Hamlets). Also, supporting access restrictions more generally where road space is given over to other uses, restricting road space and lowering traffic and emissions in the area. • Developments that minimise transport emissions and the need or desire to travel. • Transforming the way in which existing areas operate, for example through Low Emission Neighbourhoods. • Maximising climate change mitigation being a core consideration of transport and spatial planning decisions. • Increase in the rate of transition to low carbon and renewable sources of transport energy for both road and rail based transport. • Increase in transport energy efficiency and the proportion of trips made by more sustainable modes, such as walking and cycling. Ultimately, meeting CO2 reduction targets point to a need for a step change in the way Londoners live and how London itself, for example through its transport system, enables them to live more sustainable lives built around a circular and shared economy. Our MP, Kate Hoey, tweeted this week, "Briefing from local CWU branch-Crampton Street Delivery office to move to Mandela Way.Bad for customers". 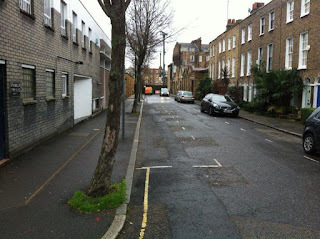 A member of our family, like many others in Kennington, walks or cycles to Crampton Street most months to pick up an undelivered package there. Along the way we might have a coffee at the Electric Elephant Cafe. We walk or cycle because, like two-thirds of households in Lambeth we don't have a car and it's sufficiently close that a bus ride is not needed. 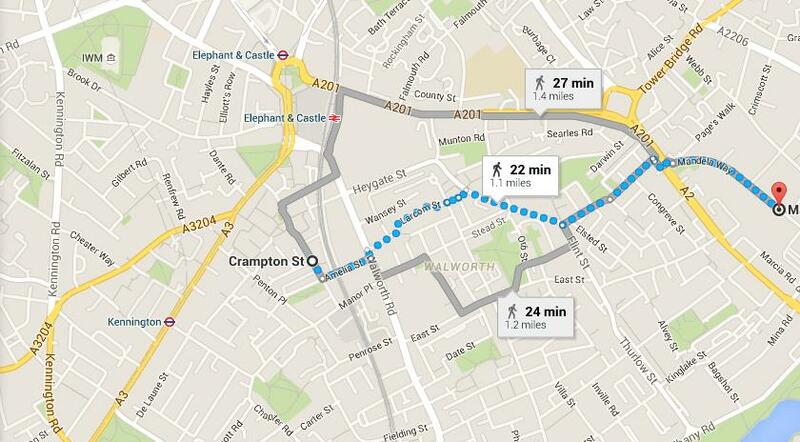 Moving the sorting office to Mandela way would add 40 minutes to the trip if walking, 15 if cycling. Those who have cars will be tempted to drive rather than walk, while others will take a bus each way. Alternatively people may opt to pay for the package to be delivered, likely to result in an additional van journey. It's an appalling proposition given that congestion, air quality, health and climate change all require fewer motor vehicle journeys to be make. Kate Hoey forcefully and effectively challenged the attempt to close Kennington Park Post Office. 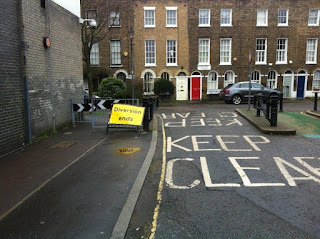 I hope that Kate and our Councillors will oppose the plans to close the Crampton Street Delivery office (and, of course, the plans to close Walworth Road Post Office) or assure us that an equally local, convenient, secure and free collection point will be provided within comfortable walking distance. "How to improve air quality in Lambeth over the next 5 years? Lambeth Air Quality Action Plan is up for renewal next year. 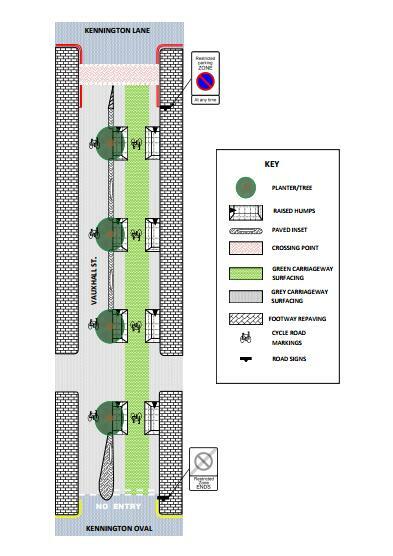 We are now working on the first draft of the plan and we would like to hear your ideas! A formal consultation on the draft plan will take place later this year." I'm doing a bit of reading in preparation, plus having some thoughts (up first, reading list below). Achieving results seems to be a real challenge. Motor traffic is key. Much traffic moves through Lambeth on TfL controlled roads so Lambeth's influence is limited. 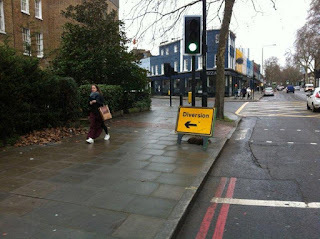 Does London's new Street Types designation reflect borough's current or desired position? Government policy affects mode choice as will petrol prices etc. The population is growing in London and in the borough. There's a lot of construction traffic. 2017 - 2022 is likely to be too long a stretch for one set of target objectives given the slow pace against previous targets. We need hard targets in a short time frame. 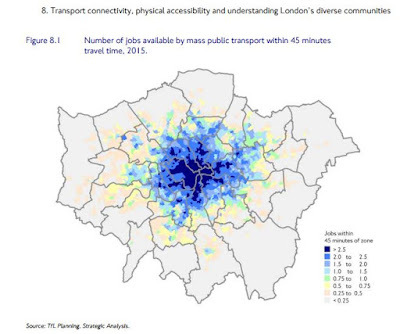 Planning for accessibility, rather than for mobility - provision of services, shops, jobs within active travel distance. What worked and what didn't work in the previous plan, and why? 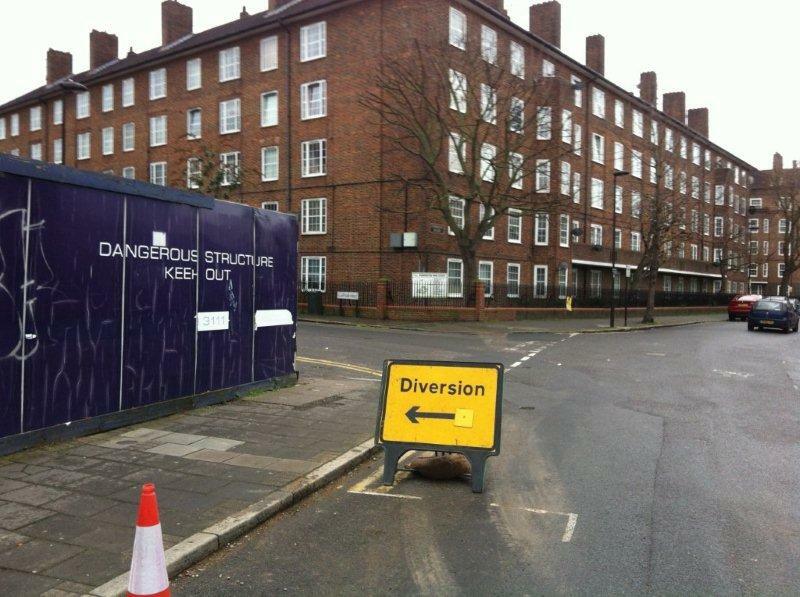 - How much of the AQAP does Lambeth's 2011 - 2031 Transport Plan already meet? 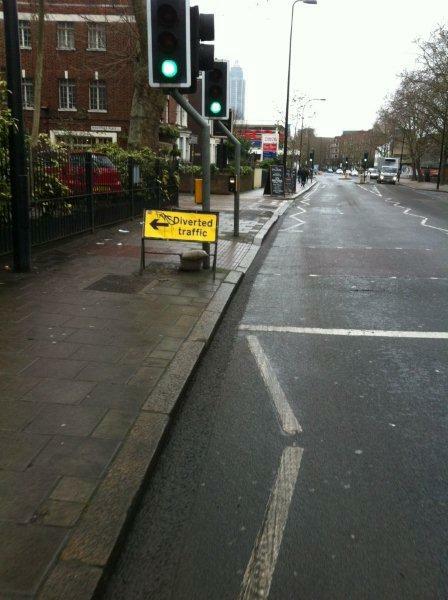 Is the Transport Plan on target. What is/isn't working, and why? - How will next Transport Local Implementation Plan be developed and when will it be submitted? Budget may be an issue - it may need to be reallocated from other areas within transport. What resources are available? How is S106/CIL money used to support AQAP? How is income from parking fines etc. allocated within transport - how well are fines being collected? Who scrutinises outcomes? - Lambeth's revised budget (PDF) for 2016/17 and 2017/18 has nothing for cycling infrastructure versus £1.4m in 2015/16. Does this make sense? What was the original budget for these years? Why the change? to make that vision a reality. How does the AQAP plan fit to that? For more expensive or more contentious measures then a strategy to achieve them is needed. To enable Co-design ensure transparent reporting against targets (with a chance to query reports) is in place. 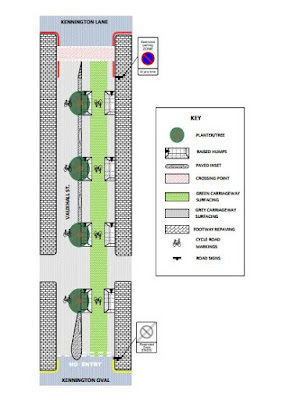 Are there particular journey patterns/modes of transport that can be effectively targeted? 2. A tabular summary of the Council’s original Action Plan, without dates, is provided (see Table 9.1) within the Lambeth Air Quality Progress Report 2014 (PDF) giving progress against the plan. 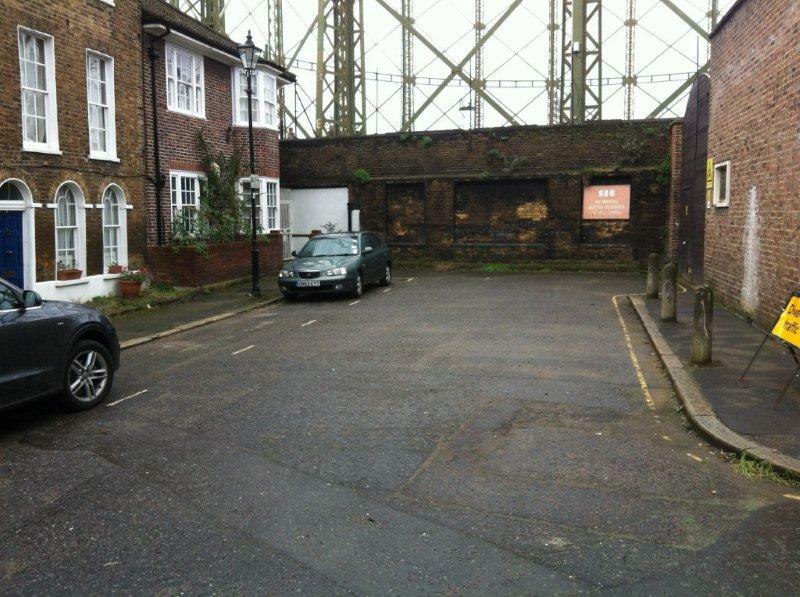 the LB4 kerbside site at Brixton Road easily exceeded the objective in 2014 (ed exceeded = failed to meet). It has exceeded the objective for all years reported and consistently monitored some of the highest concentrations in London. The 2014 results show that only the LB4 (Brixton Road) site exceeded the hourly mean objective (by an extremely large margin), even with reduced data capture. The site has also previously exceeded this objective by a large margin in previous years. 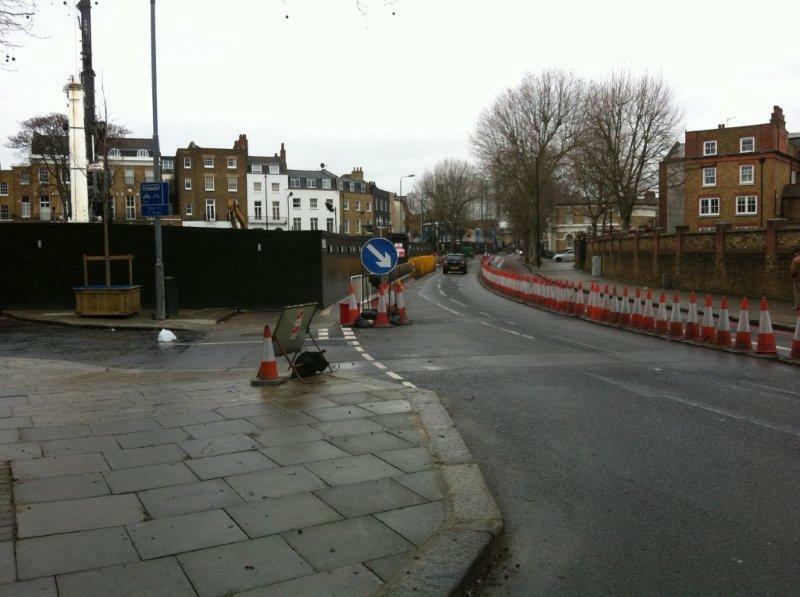 As noted earlier the site is located near the kerb and it is extremely polluted due to the road traffic. All of the Lambeth monitoring sites met the annual mean objective in 2013, other than the LB5 site at Vauxhall Bondway, which was borderline with the objective. 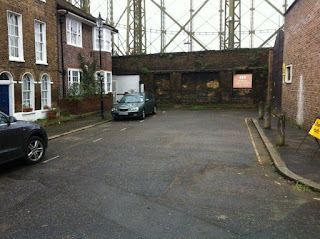 The site is close to the Vauxhall bus interchange and in previous years it has exceeded the annual mean. The Brixton Road kerbside site (LB4) has also monitored high annual mean concentrations greater than 30 µg m-3 for each year reported. For this site the monitored concentration in 2012 was borderline with the objective. Concentrations monitored at Streatham Green (LB6) however were lower and more in line with background concentrations. The daily mean objective, which has been exceeded more widely across the UK than the annual mean objective, is reported in Table 2.5. The monitoring results for the Vauxhall Bondway (LB5) show that the daily mean objective of not more than 35 days with a mean 24-hour concentration greater than 50 µg m-3 was exceeded for all of the years shown (other than 2012 when there was very low data capture). The objective was also exceeded at the Brixton road (LB4) site in 2011 and 2012 only. In 2014 the objective with met, based on the 90 percentile. The Streatham Green (LB6) site met the objective for all years reported. The daily mean standard of 50 µg m-3 however was exceeded at all sites for all years shown, although as expected there were fewer occurrences at the background site at Streatham Green than at other two sites. The introduction of the London Low Emission Zone in February 2008 does not appear yet to have produced a step change reduction inlevels of NO2 and PM10 at any of the monitoring stations in Lambeth. However the historical analysis of average NO2 and PM10 levels in Lambeth over the past eight years does offer some hope that 2008 may have seen the start of a downward trend in overall levels. Lambeth's transport Local Implementation Plan (LIP) 2011/12 – 2013/14 can be found within Lambeth's Transport Plan 2011 - 2031 from p97. The current LIP 2014/15 - 2016/17 can be found at INSERT WEB LINK. We are now in the 3rd and final year and the 2016/17 funding letter is on TfL's Lambeth Page, which also includes a useful Lambeth fact sheet. The output reporting sheet against the LIP (information on progress required annually by TfL) can be found at INSERT WEB LINK. The European Environment Agency today published "Explaining road transport emissions - A non-technical guide" - an informative read. The European Cyclists' Federation has just published a report "What can governments do for more cycling in urban logistics?" 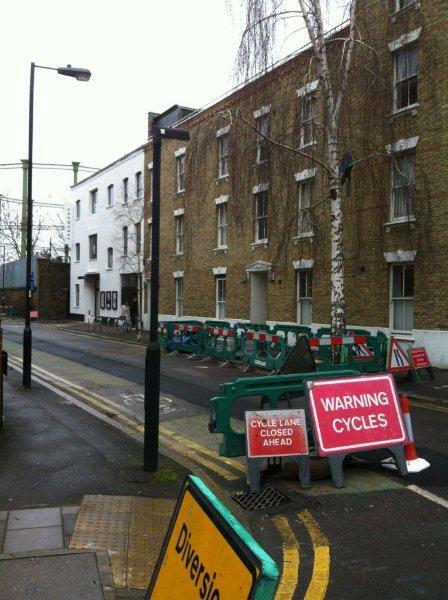 Vauxhall Street, a Lambeth back street with a segregated cycle contraflow that forms part of the calm backstreet London Cycle Network route 3 (the pre-cursor to the new Quietways), is being transformed into an even more cycle-friendly street. 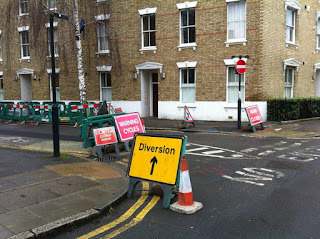 While the works are happening a diversion has been put in place, but something's gone awry with it. 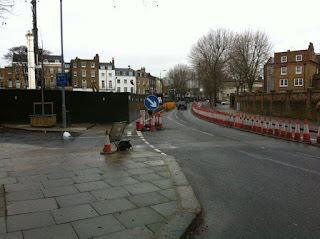 Following the red-route from Meadow Road, bottom left, a child cycles onto the segregated CS5 by the cricket ground onto the A202 Harleyford Road, then turns right via a Toucan to access Kennington Oval. 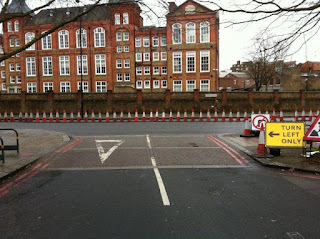 The child, following LCN3, would normally turn left then into the segregated cycle lane on Vauxhall Street and continue up across to the lights - to reach Vauxhall School for example. 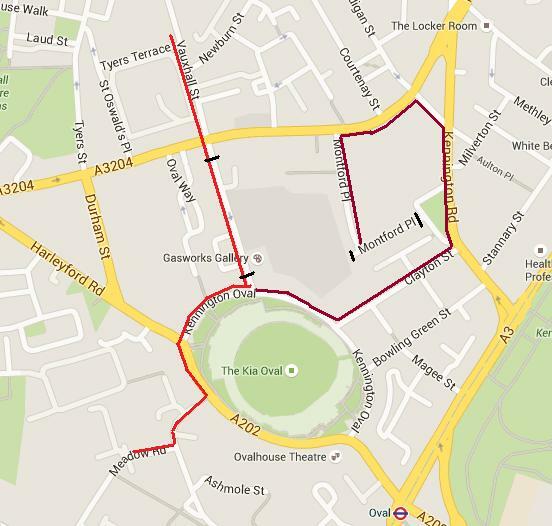 The black lines show the closed section of Vauxhall Street, and the dark red shows the signed diversion. 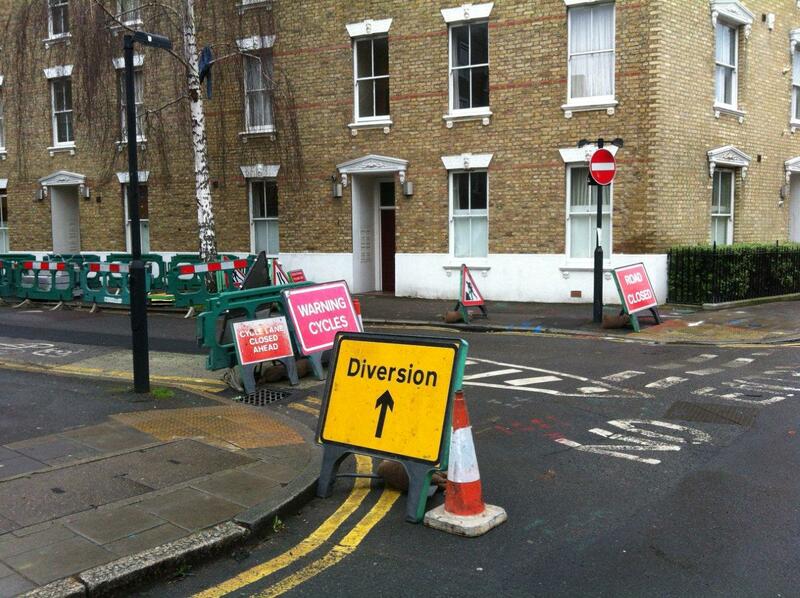 Here's the LCN3 turn and the diversion sign (NB the street is no entry to motor vehicles). So, child, why are you late to school today? 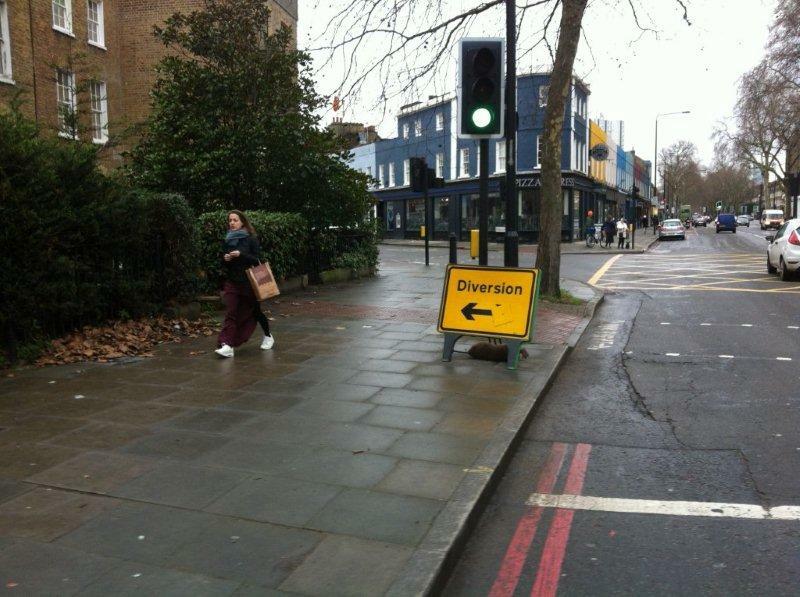 It could of course be that that the Diversion sign is unrelated to the Vauxhall Street closure. Confused? You bet. Quick blog post mainly to capture some Lambeth numbers from the past couple of days. London’s councils have paid out around £15 million in compensation claims over the last two years, new research shows. Figures revealed by the TaxPayers’ Alliance campaign group shows Lambeth council had the highest compensation bill in the country, shelling out £5.3 million from 2013 to 2015. The vast majority of cases involved household disrepair, potholes or flooding, with a £127,000 sum awarded to one claimant. 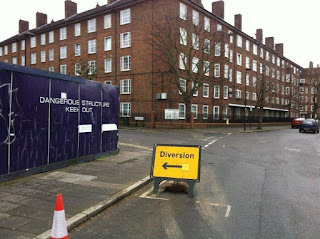 A spokesman for Lambeth Council said: “This list is clearly not a like for like comparison – we have provided more information than other local authorities. "Lambeth council handles all claims in house meaning we have a much more comprehensive list of compensation payments. 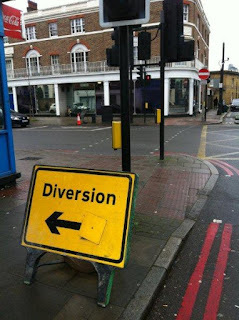 “Other councils may have failed to include compensation that has been paid out by their external insurers, or that claims handlers have paid on their behalf, which is why Lambeth’s figure appears so much larger. I'm looking forward to teaching Bikeability level 2 (Introduction to on-road cycling) at a number of local schools this term. We should get the chance to experience the emerging high quality infrastructure: the North South Cycling Superhighway on St George's and Blackfriars Roads; CS7 by Kennington Park; CS5 from Oval over Vauxhall Bridge; maybe even some of the East West Cycling Superhighway. The basic, underlying framework for cycling is more than cycle tracks - you also need a cycle and to know how to ride it. Today I visited one of the schools I'll be teaching at later this term to talk to the year 5 pupils (9 year olds) about the forthcoming course and get them enthused. It's not part of the job, but I want the pupils to have a really positive experience so when I have the time I write to the schools and go along if they would like me to. I'm also trying to identify potential barriers to pupils taking part or doing well, so I ask the children to complete a very short tick-box questionnaire after my talk. Only 11 of the 38 pupils have working cycles that fit them (20 - over half - don't have a cycle at all). 12 pupils haven't yet learnt how to cycle, so the Bikeability course, for existing riders, isn't suitable for them. Just one has a working cycle that fits (two have a cycle but it's too small, nine don't have a cycle). 26 pupils can cycle but only 10 have working cycles that fit (11 don't have a cycle, one has a cycle but it's too small, four have cycles that need repair). The pupils are really keen to have cycle training. I'll see if some beginner cycle training can also be provided and the the council may loan some cycles to the school for the training week, but some pupils may take a few days to hone their rusty off-road cycling skills and they'll have nothing to practice on after the course. I gave the teachers a few copies of my local advice sheet to hand out - and this may be the perfect place to trial a new yr 5 / 6 community cycle library project I've been doodling up. More on that shortly. Year 5/6 children at schools in the Kennington area may be offered Bikeability (cycling proficiency) training this term. Hopefully this guide may help more pupils participate, and get more out of the course. - Correct size: 6 – 9/10 year olds will feel at home with a bike with 20 inch wheels; bikes with 24 inch wheels will suit those aged 9/10 to 12. Children must be able to touch the ground with the balls of both feet. - A suitable bike: make sure it’s in roadworthy condition. Mudguards are recommended. Suspension and lots of gears aren’t needed to cycle in north Lambeth, and many pupils prefer a lighter bike. A) Ask neighbours or parents of older children. - All the shops above service bikes as do http://www.londonbicycle.com/ Shop 2-3, Benson House, Hatfields, SE1 8DQ; most will allow you to use a pump – and there’s a public pump at the junction of Kennington Road and Lambeth Road outside the Three Stags pub. - Practice your bike control skills before the course starts – can you look back while going in a straight line? Can you take a hand off the handlebars for three seconds while going in a straight line? - Make sure you bring appropriate clothing for the weather forecast (esp. gloves and waterproofs). Who checks how well Planning Condition Travel Plans are implemented? I led a ride today and two women turned up on identical bikes. The bikes were too large for the riders to use comfortably, but I was told that the bikes were provided for the use of students at a new central London halls of residence and all the bikes were the same size. The student I was speaking with said that about half the residents were from China, and tended like her not to be very tall. I expect that planning condition for the halls of residence was conditional on some travel plan actions being implemented, including providing cycles for residents to use. I suspect that the company had sought to comply with the requirement as economically as possible, without giving any consideration to the likely residents. Someone had probably sourced and bought a cheap, bulk deal of one-size bikes without expensive 'niceties' like mudguards (which would have been very much appreciated this wet afternoon) or gears. I would expect that the provision of a number of smaller bikes, with a step-through frame, three hub gears, mudguards, a kickstand and pannier rack would result in more journeys being made by bikes - surely the intent of any requirement to provide cycles. 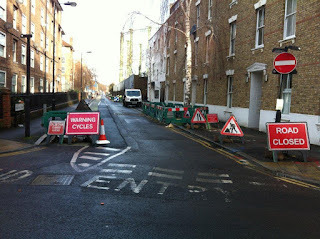 So the question is, do local authorities require 'appropriate' bikes to be provided and do they check? Or do they just trust the property developer?